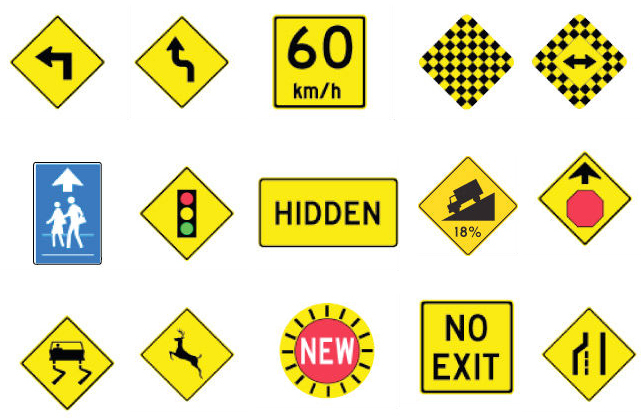 Our Regulatory Traffic Signs highlight existing conditions, road safety, speed limits and indicate coming hazards that drivers may not be aware of. Draw attention. Our W-series Regulatory Traffic Signs warn of dangerous and unusual conditions on roadways ahead. 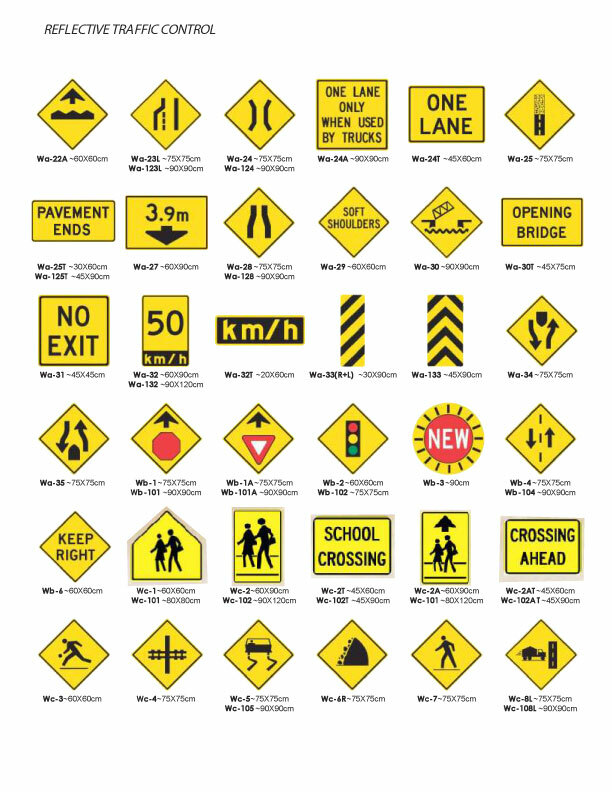 These signs have yellow backgrounds and black lettering or symbols. Uses. These custom aluminum signs warn pedestrians and drivers of electrical dangers, or simply instruct workers to be prepared via signs like “NO EXIT” Signs or “School Crossing, Children Ahead” Signs. Beware of hazards. Regulatory Traffic Signs should be posted around private properties, by driveways, and roads near busy office buildings to ensure everyone’s safety. Stay vigilant and keep staff and visitors alike cautious of potential hazards with our Regulatory Traffic Signs! See more signage products. 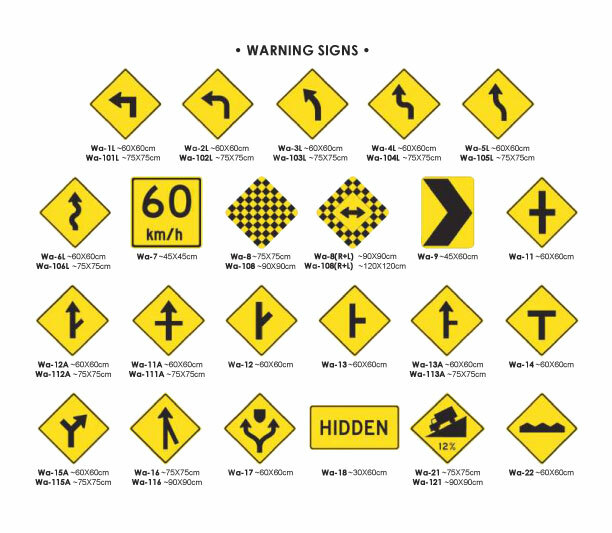 Contact us for Custom Road Signs, Waste Control Signs, Parking Lot Signs, Fire Route Signs, and Safety Signs, all of which can be customized affordably.